Whether youve already got basic skills or are venturing into the world of finance for the first time, this qualification could be the rocket to really launch your career in accounts. 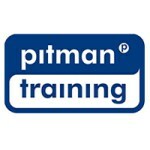 This powerful diploma combines the excellence of Pitman Trainings reputation and practical learning with industry leading knowledge from AAT (The Association of Accounting Technicians), the professional awarding body for accountancy. This is a fantastic diploma for those who wish to gain the skillset required to work in the financial industry. Youll study a range of courses including manual and computerised bookkeeping, Sage, costing, along with gaining invaluable spreadsheet knowledge. Not only will you gain the essential knowledge and understanding of basic accounting procedures, on successful completion you will be able to present your accounting qualification to potential employers and be confident in the knowledge that youve put yourself in the best possible position to climb the accounting career ladder. For the duration of your studies youll gain access to MyAAT the online AAT study support site with resources, study guides, practice assessments etc. Once youve successfully completed your training youll gain a Pitman Training certification and then be well placed to gain the AAT Foundation Certificate in Accounting qualification.